This profile of clarinettist Edmond Hall (1901-1967) – one of the greatest of the New Orleans jazz giants – makes a superb addition to the Retrospective jazz list. Hall’s individual style was instantly recognizable, with its broad, fast vibrato. His was hot, fiery music, full of drive and biting attack – yet he possessed a wonderful feeling for the blues. 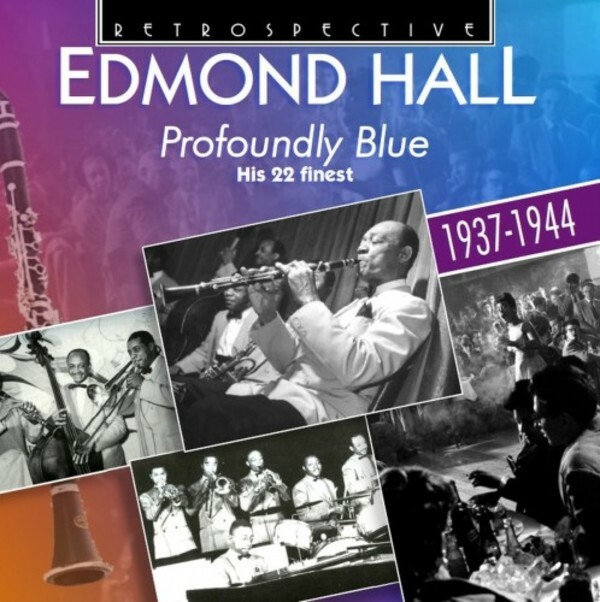 Profoundly Blue presents a portrait of Edmond Hall’s best work during his prime years, from 1937 to 1944. The title track is one of the altogether remarkable performances of his 1941 Celeste Quartet with Meade Lux Lewis and Charlie Christian (Jammin’ In Four). He is then heard with bands led by Billie Holiday (Me, Myself and I), Lionel Hampton (My Buddy), Red Allen (Down In Jungle Town), Zutty Singleton (King Porter Stomp) and Coleman Hawkins with Art Tatum (Esquire Blues).